The 5th Samos Summit is held in Doryssa Bay 5* Hotel, in Pythagorion, Samos on 29th June – 1st July 2014. 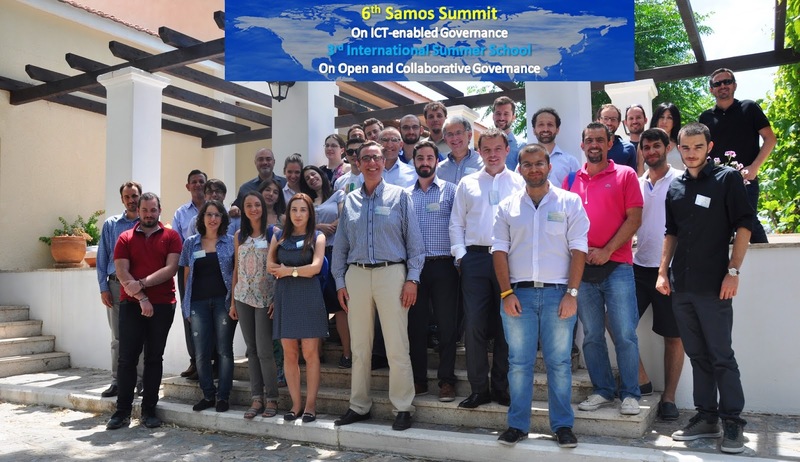 In conjunction with the Summit, the 3rd International Summer School on Open and Collaborative Governance, is held on 29th June – 3rd July 2015 in Doryssa Hotel, offering the possibility to younger members of the research community to enjoy tutorials, project workshops and panels on how ICT transforms governance and policy making. The Samos 2015 Summit is co-organised by the University of Aegean, the Share-PSI 2.0 project on Open Data and the the EU-Community project on Social Media – based policy making (co-funded by the European Commission), with the support of local authorities and organizations. Applications must be sent as one-page abstract including title, author, type of participation targeted (presentation, demonstration, workshop, tutorial or other) and elaborating on the main points, in MS-Word or PDF file.